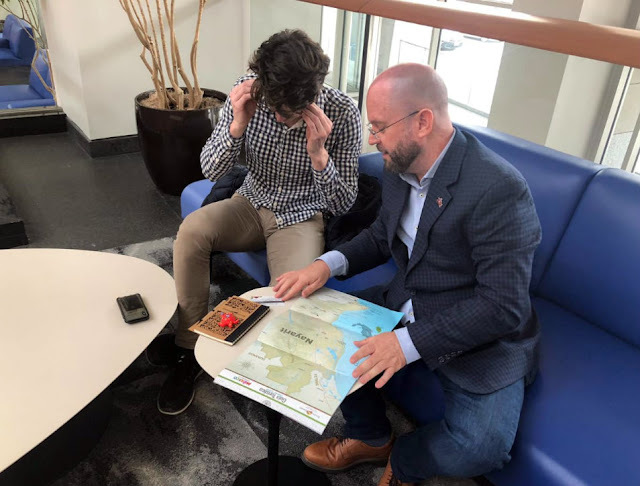 The Riviera Nayarit CVB, together with the Bahía de Banderas Hotel and Motel Association (AHMBB), held interviews with top journalists in four of the most important cities in the US. The Riviera Nayarit Convention and Visitors Bureau (CVB) and the Bahía de Banderas Hotel and Motel Association (AHMBB) strengthened their relationship with top media in four important cities on the East coast: Atlanta, Georgia; Washington, D.C.; Philadelphia, Pennsylvania; and Boston, Massachusetts, where the team held 15 interviews with well-known journalists. The purpose of the March 18-22 visit to the US was to promote the destination for the fall and winter seasons, part of a series of promotional tours that the Public Relations office of the CVB began in September 2018 throughout the United States and Canada to gauge the media’s awareness of the destination while promoting positive news. Richard Zarkin, public relations manager for the Riviera Nayarit and the Bahía de Banderas Hotel and Motel Association, said the population of the East coast of the United States normally vacations in the Caribbean, however, there’s interest in getting to know Mexico’s tourism destinations, specifically the Riviera Nayarit. Thus, the importance of continuing to tour and have direct contact with the journalists. “Contact is much more personal with this type of activities and it’s easier to reach our goals for promotion and brand positioning, and that includes a return on investment,” said Zarkin. The Riviera Nayarit and its privileged natural landscapes were present at each and every one of these interviews. While this destination is known for its luxurious hospitality, it also has a commitment to the environment, continually implementing initiatives for wildlife protection, cultural preservation, and conservation. The destination works jointly with EarthCheck, a sustainability program recognized by the tourism industry at large with the goal of implementing sustainable development in the entire region. Simultaneously, an ambitious four-year hotel investment plan has also been created that will continue to contribute to the development of the tourism industry. Eleven new hotels are to be built and another three are to be remodeled or have new phases open; the first Cirque du Soleil theme park in the country is also part of the plan. The media tour began in the southern city of Atlanta—also part of the East coast and considered the historical center of the United States—where Zarkin interviewed with four distinguished journalists. Among these was Mary Welch, editor of Travel Girl Magazine, a publication centered on women who travel that has a print run of 150,000 magazines. 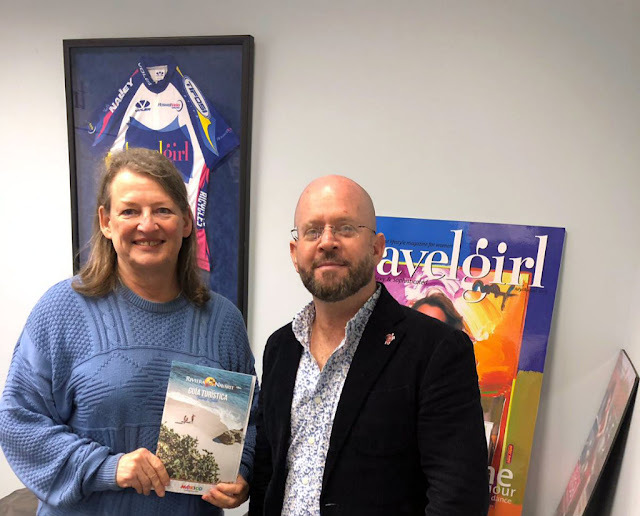 He also met with Felicia Feaster, editor-in-chief of Travel Channel and the online version of HGTV, specializing in travel and entertainment news. Finally, Zarkin shared updates and info on the Riviera Nayarit’s attractions with freelancers Jennifer Bradley Franklin, contributing writer for Delta Sky, Condé Nast Traveler, and USA Today, among others; and Katie Kelly Bell, who writes for publications including Forbes, USA Today, The Miami Herald, Atlanta Magazine, and Delta Sky. The tour continued on to Washington, D.C., the capital of the United States, where interviews were already on the agenda with journalists Brooke Sabin and Amy Alipio, from National Geographic Traveler, an important publication with a circulation of 607,740 issues; as well as Bijan Bayne, freelance columnist for JustLuxe and AFAR online; Jennifer Barger, freelancer for The Washington Post, DC Magazine, and NatGeo Travel; and William O’Connor, travel editor at The Daily Beast. In Philadelphia, Richard Zarkin met with Katie James Watkins, a freelance writer who writes for T+L Brides, Martha Stewart, Robb Report, Condé Nast Brides and Travel +Leisure; JoAnn Greco, editor of Modern Luxury and president of the East Coast chapter of the SATW; and, later, Regan Stephens, editor-in-chief of Philadelphia Magazine. Boston was the last city on the tour, where another four interviews were held with Amanda Norcross, editor of Vacation Critic and TripAdvisor; Ashely Rossi, associate editor for Smarter Travel; Lindsey Lambert, contributor to Architectural Digest, AFAR and Departures; and Moira McCarthy from the Boston Herald, all of whom saw firsthand the many marvels of Mexico’s Pacific Treasure. According to the Riviera Nayarit Barometer for February 2019, 8% of US travelers that visit this destination come from Georgia (4%), Massachusetts (2%), and Pennsylvania (1%), as well as the District of Colombia (1%). Riviera Nayarit reaffirms its status as a first-class tourist development, an example of the growing and successful tourism industry in Mexico. The destination works vigorously to attain its goal of attracting more and better tourism to Mexico’s Pacific Treasure with the support of the Government of the State of Nayarit via the Tourism Promotion Trust (Fiprotur).